SeatDibs.com brings seat license owners and seat license seekers together in a safe and secure marketplace where fans can buy and sell seat licenses for sports teams and venues. 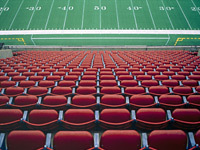 We specialize in renewal rights and that includes Seat Licenses, Seat Location Rights, RV/Parking Renewal Rights, Wait List Numbers, Charter Seat Licenses (CSLs), and Charter Ownership Agreements (COAs)s.
Our online marketplace allows our users to view and make offers on seat licenses that sellers have posted for sale. SeatDibs takes the risk out of the transactions because sellers normally require payment up front, but sellers have significant risk if they wait to collect the money until after the transfer is complete. SeatDibs has NO listing fees and NO membership fees.